Multivitamins and mineral supplement acts as your insurance policy against deficiencies. They simply fill in any dietary gaps that might be left by the food we eat. A regular diet may not always be able to supply your body with the daily nutrient requirements therefore multivitamin supplements are a good choice for health conscious people who want to give their body the right nutrients. It’s Functions: Multi contain the essential vitamins and minerals we require on a daily basis to keep us functioning at our best. They have an important role in energy production, hemoglobin synthesis, maintenance of bone health, adequate immune function, and protection of body against oxidative damage. They also assist with synthesis and repair of muscle tissue during recovery from exercise and injury. It’s Importance: A good multivitamin/mineral is the foundation of a great supplementation strategy. If you’re deficient in any nutrient, it could have a negative effect on your workouts and energy levels and slow down your progress. Also during any kind of diet programs, when you’re restricting calories and foods, supplementing with multi vitamins becomes more important. Bodybuilders, athletes, and people that lead active lifestyles need even more nutrients than the average non-active person. Routine exercise increases the loss of these nutrients from the body and greater intake is required to cover the increased needs to keep performance and recovery at its peak and also for building, repair and maintenance of the lean body mass. The more intense the exercise or sport, the greater the body’s nutrient needs. What is it comprised of: The multi is comprised of vitamins and minerals. These are stored in the liver and fat tissues. These reserves may be released when dietary intakes are low. The stores can build up so much more than you need and therefore if taken in excessive amounts, can become harmful and toxin. These are not stored in the body, so you need to have them more frequently. If you have more than you need, your body gets rid of the extra vitamins when you urinate. These are needed by the body in greater quantities (in grams) such as calcium, magnesium, potassium, sodium and phosphorus. These are needed by the body in minute amounts, usually (in micrograms) such as chromium, copper, cobalt, silicon, iron and zinc. Vitamin A - A critical vitamin to building new muscle tissue. Also helps produce glycogen which is the form of carbohydrates that is stored in the body. Vitamin B1 - Involved in protein metabolism and the production of hemoglobin to help carry oxygen through the body. Also known as thiamine. Vitamin B2 - Helps the body to produce energy from carbs and to burn fat. Vitamin B2 is also known as riboflavin. Vitamin B3 – Improves the cholesterol levels and lower cardiovascular risks. Also aids in increasing vascularity by increasing vasodilation within your muscles. Also known as niacin. Vitamin B6 - Helps protein digestion in the body. This vitamin is especially important to bodybuilders because of the fact they need to eat a lot more protein than the average person. Vitamin B6 is also known as pyridoxine. Vitamin B12 - Makes sure the brain and muscles communicate properly. Also known as cobalamin. Vitamin C - This vitamin is essential for preventing what is called "free radical damage" which occurs due to the heavy stress of weight training. Vitamin C also helps to speed up muscle recovery time and in repairing damaged connective tissue. Vitamin D - Aids the body in efficiently absorbing calcium and phosphorus. Both these substances are important to the muscle building process and for maintaining bones. Vitamin E - An antioxidant which helps against free radical damage. Magnesium – This is important for all athletes, recreational or competitive because it gets significantly depleted in the body after strenuous training. This mineral is involved in number of processes that influence muscle function, including oxygen uptake, energy production, metabolic efficiency, and electrolyte balance. Low magnesium levels can acutely contribute to early fatigue, nausea and muscle cramps. Chronic magnesium deficiencies can lead to increased osteoporosis risk and anemia. Athletes lose magnesium through sweat and urine, therefore need for supplementation becomes important. 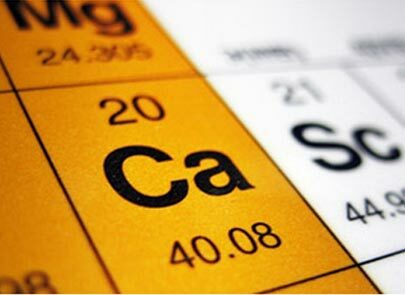 Calcium - Calcium is important for growth, maintenance and repair of bone tissue. The stress from weight training requires a steady supply of calcium to maintain high bone density. For female athletes, calcium intake is of particular concern as excessive training may cause hormonal declines that can stop menstruation. This hormonal decline also compromises bone formation, possibly leading to premature, irreversible osteoporosis. All Athletes should monitor their calcium intake. Dairy foods can supply the required amounts unless sensitivities exclude them from the diet. A diet without dairy foods requires supplements. Phosphorus – This mineral is present in the body in large amounts and is directly linked to exercise metabolism since it produces high energy molecules such as Adenosine Triphosphate (ATP) and Creatine Phosphate. ATP is the energy of life. It is a molecule that stores all the energy that comes from foods. It is present in every cell, particularly in muscle cells. Phosphorus works in conjunction with Calcium. Sodium – This mineral is an electrolyte that plays a vital role in the regulation of body fluids. The level of sodium in the body determines the amount of water the body will 'hold', and high intakes can cause body tissues to swell. Although a normal diet usually contains a reasonable amount of sodium, be careful not to limit sodium intake too much. An excessively low sodium intake turns on protective mechanisms within the body that cause sodium and water retention. This mineral is lost in sweat and is quickly depleted during workouts or after spending time in a hot climate. A person with low sodium feels thirsty, hungry, weak and tired. Sodium also enables ATP (energy) generation. For events lasting longer than five hours, especially in hot weather, hyponatremia (dangerously low sodium) is a real concern. This especially applies to slower-running marathoners. Most organized events have aid stations with salty snacks. Anyone out for more than a few hours, especially on a warm day, should make sure to get some salt from snacks and fluid-replacement drinks. Iron - Iron is a constituent of hemoglobin and is responsible for oxygen transport and, indirectly, subsequent oxidative energy production. Your ability to recover between sets is related to the efficiency of your aerobics system. The more oxygen you can supply to your working muscles, the quicker your muscles can recover in time for another hard set. Moreover, Iron is particularly critical for females as they tend to lose some Iron in their menstrual flow every month and also to female weight trainers, who typically don't consume much red meat, which is high in iron. Athletes who train for six or more hours per week often have iron-deficiency anemia. Athletes use iron stores more quickly than non-athletes therefore those who engage in rigorous sports, adequate intake of iron is quite important. Potassium - This mineral plays a major role in the acid base balance, as well as muscle health and nerve health. It is present in intracellular fluid, is responsible for regulating total body water and stabilizing controlled and automatic muscle contractions. It is lost through sweat and urine. Cells release potassium into the bloodstream and serum levels rise with exercise, possibly instigating fatigue. Potassium supplementation after short events (less than two hours), and during and after long events, is necessary. A poor potassium / sodium balance can lead to improper fluid levels, dehydration, muscle cramps and weakness. However, supplement potassium cautiously because too much too quickly can cause cardiac arrest. Zinc - This mineral plays a role in growth, building and repair of muscle tissue, and energy production. Both male and female athletes have lower serum zinc levels compared with sedentary individuals. Those who train without days off lose zinc even more quickly. In a study of cyclists, researchers looked at zinc excretion via sweat. Zinc status has been shown to directly affect thyroid hormone levels, BMR, and protein use, which in turn can negatively affect health and physical performance. Selenium - This trace mineral helps protect body cell membranes from deterioration. It is also believed that selenium possesses protective properties against cancer. It is concentrated in the lining of the GI tract and lungs, in the liver, and in skeletal muscle. Research shows selenium benefits athletes' immune function and helps repair cellular damage. Chromium - Chromium help insulin do its job of transporting glucose, amino acids and fatty acids into cells. Also helps in glucose metabolism and probably helps in lipid metabolism. Athletes probably need more chromium than non- athletes. Minerals are critical for peak performance but overdosing on one or all of these elements can spell disaster. Too much of one mineral can cause a functional imbalance of another mineral or cause negative side effects without the original benefits. The bottom line is to make sure you get what you need and not to mega dose. 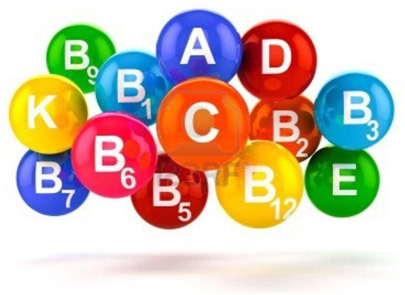 Also be very careful with what type of vitamins and mineral formulas you choose as some don’t always contain what the labels claim and some come from such poor sources that they are not absorbed very well by the body.